Cratejoy has released their Holiday Gift Guide. Guess who made it into there top 15 literary boxes?! “Bibliophiles, rejoice! We’ve compiled a list of 15 subscription boxes perfect for the book lovers in your life. 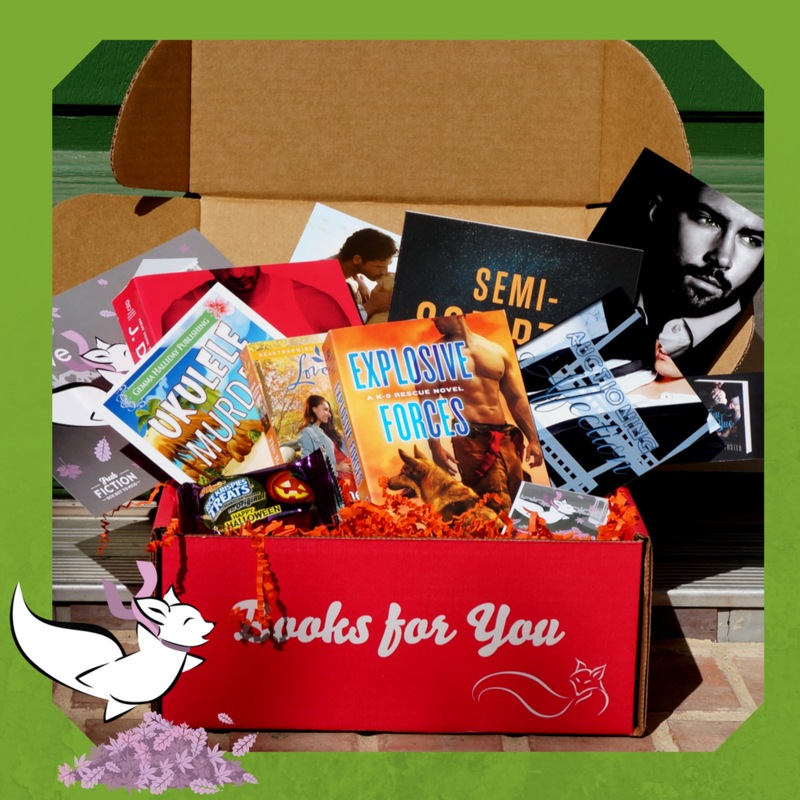 Whether your readers love cozy romances, hip indie zines, comics, YA, or simply decking themselves out in bookish swag, these gift boxes will keep book worms blissful throughout the holidays into the new year!” We’re so excited to be sharing Fresh Fiction Box Not to Miss with readers this holiday season. Beyond our regular subscription, we also have our second annual Christmas box. . Celebrate the season with our Christmas box! Now’s your chance to get our most popular box as a gift for you or a loved one! Included in the Christmas Box: 4 Christmas Romance Print Books, 1 Christmas eBook, Special Author Keepsakes including an Ornament, A Foxy Gift from Fresh Fiction, and More! Available to US residents only. Shipping is $9. Your Christmas box will ship during the first week of December, with plenty of time for you to put it under your tree. Happy Holidays! Fall in love with the new books in the November box! It’s finally November! We dream of curling up with one of these new books in crisp fall weather. There are amazing authors this month with great books, some will even get you in a holiday mood! See more on FreshFictionBox.com. This Month’s Print Books:Everyone received four of these titles The Ranger’s Texas Proposal by Jessica Keller Di Sione’s Virgin Mistress by Sharon Kendrick Amish Christmas Blessing by Marta Perry & Jo Ann Brown The Cowboy SEAL’s Jingle Bell Baby by Laura Marie Altom Deadly Silence by Rebecca Zanetti Four Letter Word by J. Daniel Burning Moon by Jo Watson Only You by Denise Grover Swank Tangled Webs by Irene Hannon Wild Montana Skies by Susan May Warren Semi-Scripted by Amanda Heger No Witness but the Moon by Suzanne Chazin Explosive Forces by D.D. Ayres The Legendary Lord by Valerie Bowman Baron by Joanna Shupe This Month’s eBooks: Everyone received all four! Ukulele Murder by Leslie Langtry Seaside Lovers by Melissa Foster Rule Breaker by Sienna Snow Auctioning Affection by Allyson Lindt Vixen’s Tale: Every month, until June 2017, each box will showcase a new adventure featuring our mascot, Vixen. The tale is illustrated with a collectible postcard and button set….